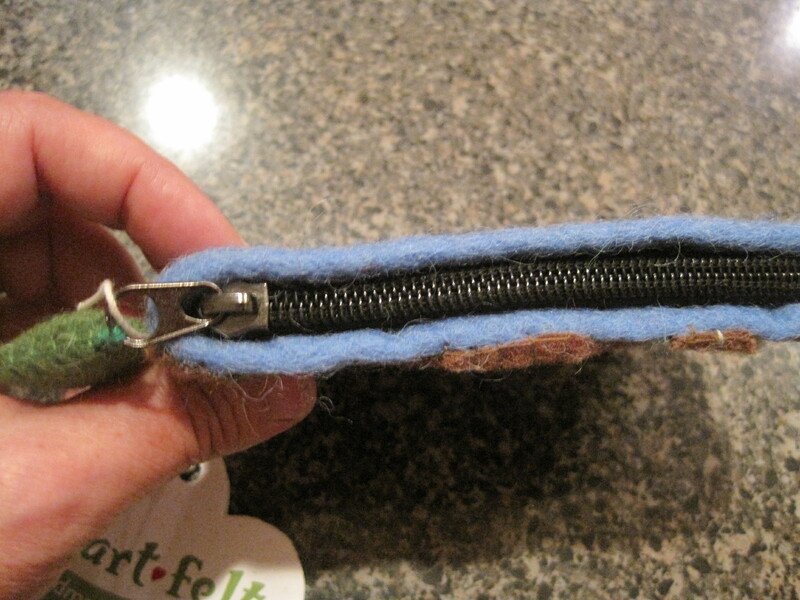 Clump #5: Clear out the pile of paper in the PEACE bag. Someone asked me whether the photo in the heading of this blog was staged. The answer is a sad but definite No. The pile of papers, interspersed with books and magazines imploring me to organize my house and clear the clutter, was all-too real. Actually the real picture looked worse; the format of the heading cut off the top of the pile. This photo was not staged, either, and shares the same funny and sad aspect. 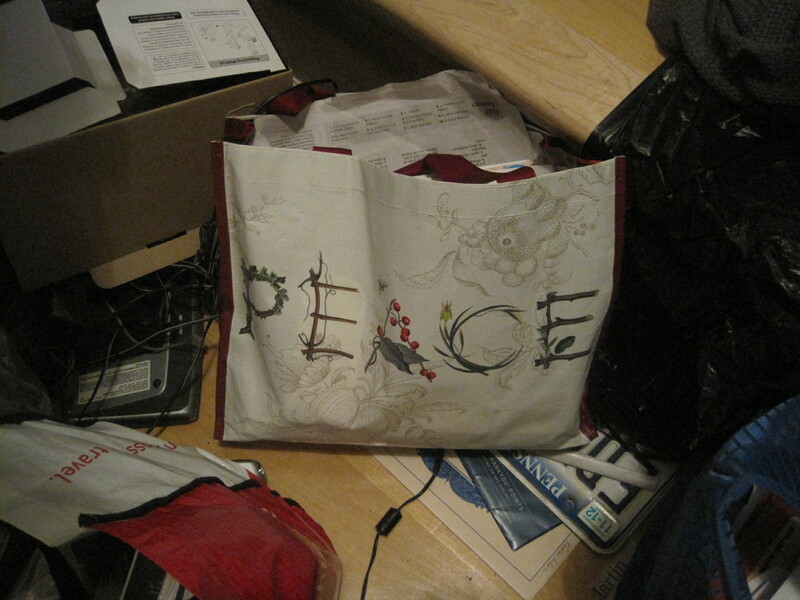 A bag (Freudian slip, I just typed gag) featuring the word PEACE, filled with mostly trash, surrounded by chaos. This is really the belly of the beast in my organizational challenge. Piles of paper that I sweep together when company is coming, telling myself I’ll retrieve and sort through them the next day … but that next day almost never comes. Well one of those days did come yesterday. I sifted through the bag, and a small measure of PEACE reigned in that corner of our world. 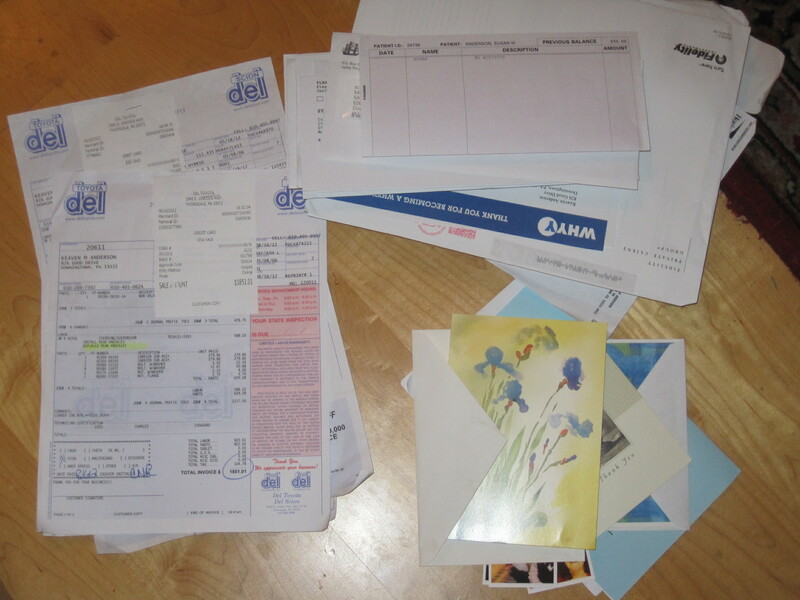 Pictured is what was left: items to save, file, or consult with someone else in our family about. The rest was put in a bag to recycle. And, Oh yes, is it possible to have a pile of paper that doesn’t include something beseeching me to get rid of the clutter? 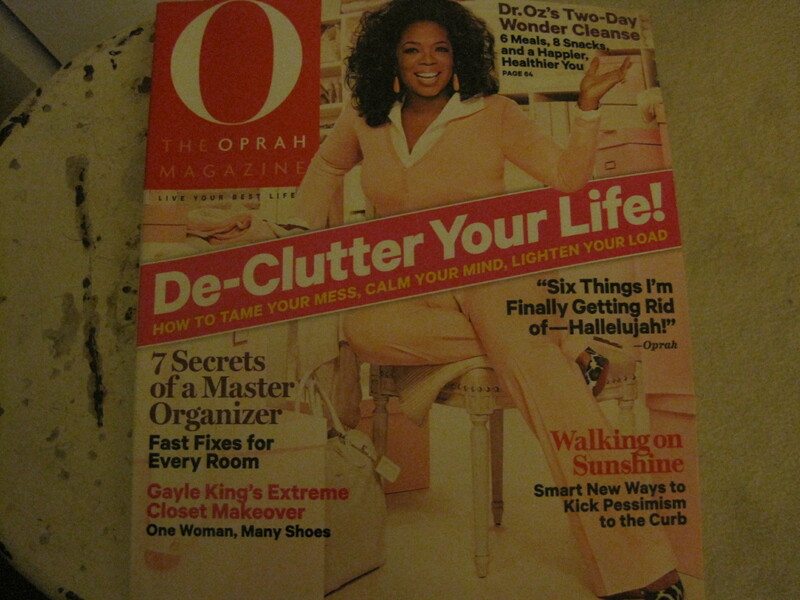 The irony is that all those wonderful articles become part of the clutter! Clump #6: Take back owl given to younger daughter for Christmas. Awww! I’m making this much more heart-wrenching than it needs to be. 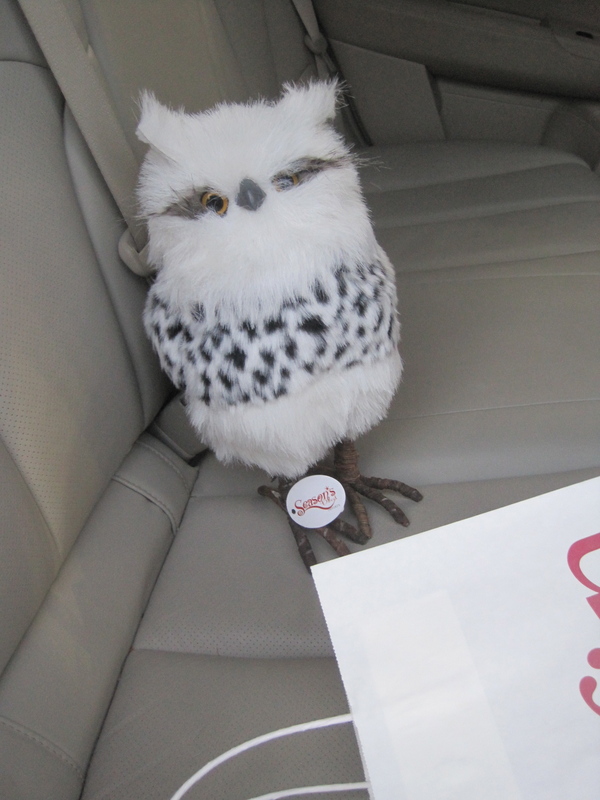 Why did I have to take a picture of Owlie (now I’ve named him) (and assigned a gender) looking like the family pet in the back of the car. The fact is, I could tell our younger daughter did not care enough about this gift, and therefore it was a gift of clutter. Sorry, sad but true (which is turning out to be the theme of this post). On a happier note, I got the mission accomplished before the cut-off date for after-Christmas returns. This should mitigate the sadness a bit … the owl she wanted to keep. The fact that owls were everywhere I shopped this year (indeed, I read they are “in” now), combined with the fact that the mascot for our younger daughter’s new school is an owl, made for many tempting owl purchases. 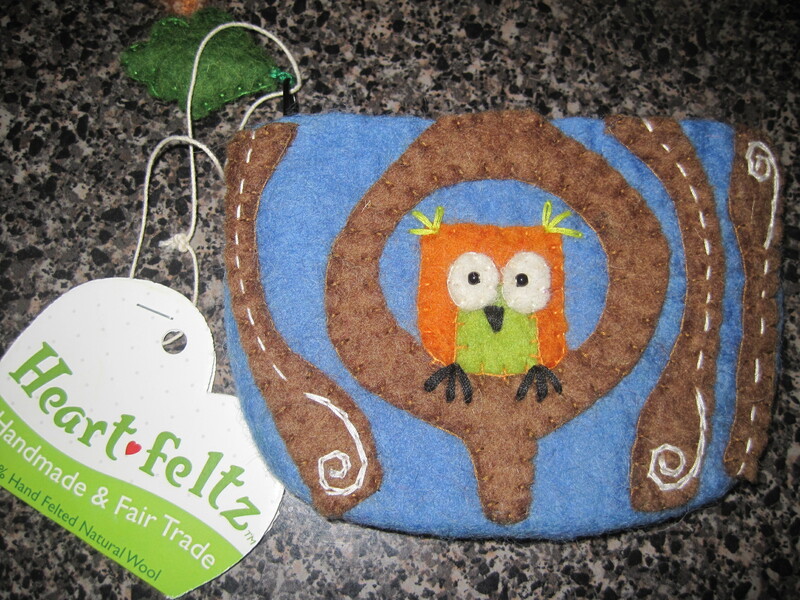 I really exercised a lot of self-restraint, but weakened for Owlie. I had a sinking suspicion that it wasn’t the right gift for the girl, but I was encouraged by well-meaning friends. Lesson learned: be true to your inner wisdom … like an owl. All I see is success here! Great job on getting rid of things but also in seeing the irony and hidden messages in life.